By now, I’m assuming that all of you have seen and read my previous blog on our new trip to Philadelphia and Washington. Right? 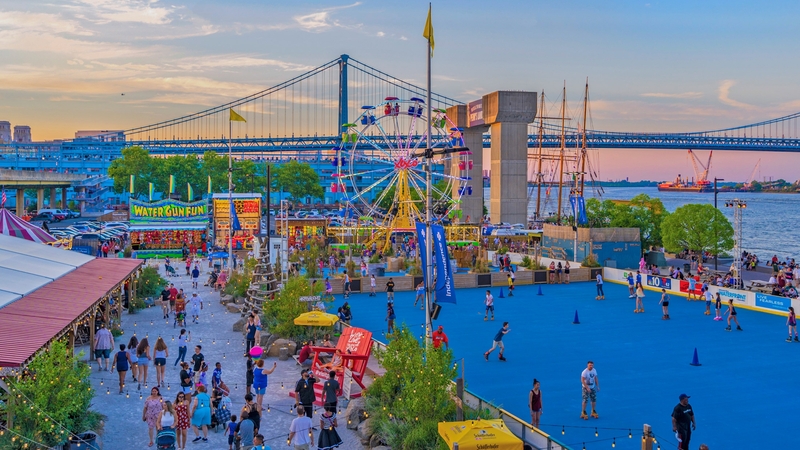 So I thought that to help make up the mind of those who are still unsure why they would pick the ‘’city of brotherly love’’ and the United States capital city as their summer destination, I would write a blog detailing you 2 of my favorite things to do in these cities during a beautiful sunny day! Washington Capital Wheel! One of my top things to do when I arrive in a new city is to get a good ‘’bird’s eye view” of the town! Now, if you’re like me and you crave for that aerial perspective as well, then you should make sure to hope on the giant Ferris wheel at National Harbor next time you’re in D.C! From 180 feet above grass level, this is the perfect opportunity to take a few shots for your next Instagram story! Ok, so this one is real cute and fun during the day, but you should try spending some time there after dawn! At night D.C.’s National Mall lights up and visiting the Lincoln Memorial, the Jefferson Memorial and the World War II Memorial under the moonlight is really the best midnight treat! So you may have notice my slight obsession for ice-skating in the previous blogs… Well let me tell you that yes, what I am about to say next IS about skating, but not on ice! 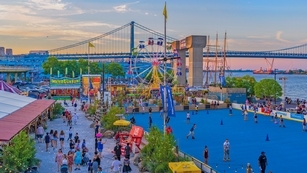 The Blue Cross RiverRink Summerfest in Philadelphia is a huge outdoor roller-skating rink open all summer long! Stationed next to a Ferris wheel, a carousel and a mini golf this is the perfect place to go if you want to get your groove on on a cool Saturday afternoon! Fine, we’re not ‘’Americans’’ per-say, but that doesn’t mean we can’t wish happy birthday to our next-door neighbor no? The Wawa Welcome America in Philadelphia celebrates America’s birthday in America’s birthplace with a weeklong Fourth of July party!! We’re talking about a festival filled with a dozen of free events, fireworks and concerts!